Today I’ve been asked by spirit to write an article describing my regular energy clearing routine, which I still use to stay “up” and manage the intense energy that’s been flooding the planet these recent few years. Spirit was very aware that there’s not much information out there about exactly what’s needed to release the “human baggage” and return to the higher state of love the Twin Flames originate from. The blocks to love lie much deeper than most think, and often in unexpected places. It’s not merely about hoping or wishing for love. Above all, my journey to Reuniting with my Twin Flame involved a LOT of clearing and uplifting my energy, raising my vibration and helping him also to release karmic debt so we could open up to coming together. 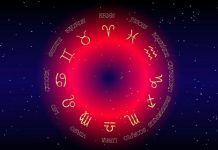 Unfortunately most healers’ work and existing methods out there are tailored to “regular” people and the previous waves of Ascension. This wave of Twin Flames is incredibly intense – we’re the crazy pioneer souls who wanted to go wake up fast, with all that would entail. It means the old heavy stuff comes up very powerfully and quickly, so our DNA and our energetic makeup can be completely revolutionized in a short period of time – aligning us with pure love. If you’re here and you like my articles, chances are you’re of this later wave of Twin Flames. Because the older waves seem to tend to be drawn more to the idea of Twin Flames as a “beautiful struggle” to endure. We later Twins are the mavericks who came here to change everything from the inside out in a big way. To wake up and transform ourselves in record time so we could live from a place of pure love – in “heaven on earth”. The regular stuff for regular people isn’t deep or complete enough for this wave of Twin Flames and other Lightworkers. We knew this, and that’s why some of us have had agreements with the collective to share radical new methods for clearing and uplifting. So here it is, my personal schedule. Just imagine: If you began taking a little step every day from now on, where could you be in a year? Every day I shield myself and I shield my house/apartment, both from negative influence and from other people’s attachments and cords. When others focus strongly on you and want you to behave in a certain way, they will be energetically cording to you. Plus, when we spend time in crowded places we can easily pick up others’ issues – we are always interacting with energy even if we’re unaware of it! I also clear the energy in my house/apartment once a day. Over time this has created a very pleasant, high vibrational environment in my home which is amazingly conducive to lifting my personal frequency even higher! I cannot tell you how many times I’ve forgiven my Twin Flame and he’s forgiven me. Often, for the same things over and over. It’s a very powerful practice, to forgive someone and ask for forgiveness once a day. It releases negativity, clears negative attachments, and helps you move forward into a higher and more positive future. And it can give you instant relief, especially for Twin Flames who feel each other’s unforgiveness and resentment doubly. On days where I miss this one out, I really feel the difference in a bad way. Sitting in silence and calming your mind can bring instant relief from negativity and stress and it lifts your vibration. Often, the problems we feel are coming from our mind – our own “interpretation” of events, above all. Meditation allows you to relax mind and body and gives your system a chance to “reboot” your energy. It stops the frantic activity in the unconscious mind, which can otherwise run riot – manifesting weird fear behind the scenes. I usually spend at least 5 minutes meditating with no sound, no guided audio. However, I enjoy creative visualization also (You can find my special one for Twin Flames here). For this, it’s great to have someone’s voice guiding you along. This something that opened up our connection to begin with, my Twin and I would “meet” in a special place and spend time together soul to soul. If I’m in a place where it’s tricky to focus on meditation, such as on the plane or while travelling in general, I like listening to high vibration music – so-called Solfeggio frequencies. These are great for helping you stay in a high vibration and they help to drown out noise. However, let it be said that they can trigger blockages in the chakras to come up so be mindful of this. You can download Solfeggio Frequency Tracks for healing and uplifting here. And here’s a site which has a great selection of relaxing high vibration meditation music and other ambient tracks. I have a 15 minute clearing I do every single day – I connect to the light, go through my general energy field and erasing negativity and congestion, as well as through each chakra. For 18 months I did ‘digging’ work into each chakra, such as clearing every day anywhere it felt unsafe to open up to love or anywhere I wasn’t loving towards myself. The blocks gradually came up, and it felt terrible but it allowed me to clear them once and for all. And my life started changing around me more and more as I did so. New friends who were so much more understanding and loving began showing up, to mention one thing. I began having much less conflict with others. When I do this clearing I also enlist support from the light, to bring me what I need to fulfil my dreams and goals, and to fill my space with love, joy, ease, happiness, fun… It really makes a difference! You can get started with my Free Energy Clearing Audio here right now – it cleanses congestion and negativity out of your space and infuses your system with new high vibrational energy. Before bed, I shower and clear out any ancestral patterns and energies that may have been triggered, as well as any other people’s stuff I may have picked up on during the day. I also clear my telepathic and clairaudient channels so I can perceive guidance clearly and accurately. Twin Flames in Ascension are very sensitive to energy and when we pick up on random stuff from our surroundings, and even deliberate sabotage, it can create big snags on the journey. Some things I do daily for pleasure and because they help me keep in touch with my intuition, connect with my spiritual guidance and uplift my vibration. This is a wonderful way to connect you with your soul and begin to get more guidance on your journey. What opened up my channel to my Twin and “invited in his soul” energetically to begin with was my increased attention to my dreams and that I was journaling every day. Writing your thoughts also helps expel any “issues” you might be having. If you’ve been bothered by a situation or person, it clears up much faster if you express yourself in writing. So every day ,spend some time focusing on and about your ideal future self. Even if it’s writing down a few sentences about it on your phone. Include sense bound writing, like what are you wearing, is it sunny, where are you, who are you with, what are you drinking or eating…? This matches your energy to invite in your desires. When we keep focusing on what we *don’t* want or what we’re unhappy with here and now, we keep inviting in more of the same. Focusing on what you’re grateful for every day is a scientifically proven method for increasing happiness and raising your vibration. The important thing to focus on is the feeling of gratitude. It can be for small or big things, personal or on behalf of someone else. We go through a complete clearing of the Energetic Bodies and so much more in my new 5 week energy healing and coaching program “The Love Blueprint”. Weekly (began as daily for six months) clearing the cords between Twin and I to remove residue of his relationships and flings with other people (which used to bother me a lot – he’d had a lot of partners) and shielding us both, filling in with divine love. Weekly updating of my Akashic records, closing the door on the past and receiving a new energy gift to assist me on my path. Earlier I would clear specific karma regularly to resolve old wounds, for six months I spent time every week to clear all old karma between myself and my Twin, which really cleared out abandonment issues for the both of us and opened up the connection in a whole new way. (This is what we do in the Higher Heart Transformation Journey). Deep meditation to discover unconscious blocks, clearing negativity. Then, planting deliberate seeds of manifestation – setting goals and checking in to see how previous goals have done! 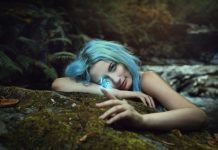 I have been surprised many times to discover that an old manifestation goal has come to fruition very tangibly – almost without me remembering setting the intention in the first place. An amusing manifestation was a particular used car which was in my budget and had a really low tax value… When the car arrived from across the country, I discovered to my surprise I’d actually included a photo of that exact car, that exact model and that exact color in a vision board a few years ago! So this stuff really works. You’ve been “warned”! It’s healing to enjoy yourself! I know… you might feel a bit overwhelmed seeing the extent of my routine over recent years. But I want you to know it’s mostly about making energy work a regular habit! Pick what appeals most to you, and make it a daily activity. Things you are choosing because they help you and make you happy, rather than what’s just “always been there”. When we remove negativity and focus on building positivity as a two pronged process – over time we completely shift our energetic “blueprinting” and what we experience and attract in life. Every time I meet my family again, I realize how much I’ve changed. I see them staying the same. The same as each other, the same as how they used to be. They’re all on a very similar track as before. I know, sadly: Miracles won’t happen for them and most people, because their energy is set to stay the same. Set to one particular type of experience. The “regular” kind of life. Meanwhile, in a few short years my life has completely transformed. And I don’t really try to tell them, because I know they wouldn’t understand. And that’s OK. But I know I want to live my life, my way – with love, with miracles, with growth, with pinnacle experiences. And thanks to this crazy, amazing Twin Flame journey, I can! It’s been a challenge so many times. But thanks to these routines and this clearing I’ve done just as regularly as brushing my teeth – bit by bit things calmed down, opened up, lifted higher, connected deeper with love. And I’ve realized from the inside out that Ascension really is a gift. For every crappy feeling that comes up or every problem that rears its head, you get to drop some old baggage to the ground! I am now tons lighter. I’m one of those people who were “born old”. Born with baggage, and although I didn’t know why I felt it or where it came from, it felt awful. But now… Now I’m freer than I’ve ever been. And it takes me surprise how every day, how I’m becoming more and more one of those people that to outside eyes seems like “that person must be really special”, they must be “made for success” or “made for happiness”. And I can honestly say, no. I was born completely normal! Into a low income family, with a regular upbringing and in a regular body with no special talents. The reason things are going so well now is because I made it that way. I created everything I have today by un-creating all the things that had held me down, and by setting positive intentions, creating new positivity. Trying to change reality from the outside in becomes like trying to hold a beach ball under water. It’s exhausting and as soon as you let go, it bumps back to exactly where you started. When you clear your energy you re-calibrate your whole reality field and what you’re in alignment with. You change things from the inside out. And when you do it that way, the changes are permanent. Today I’m adding something to my gratitude list: I am grateful that we human beings don’t just have to “deal the cards we’ve been dealt”. And I am grateful that I get to share this with you, so you can have an advantage – a few less steps to make in trying to figure it out on your own like I did. Lastly, if you feel a bit overwhelmed – you don’t have to do everything I did. But there is definitely a correlation between how deep and how much you clear, and how big the changes on your journey. This is a commitment, and above all, you make it to yourself. Energy and healing is a lot like going to the gym – you can’t think your way there, you have to do the actual work! Have a look at the clearing sessions I’ve created especially for you – condensing all the most powerful parts of my own routine and experiences – and pick something to start with. A year from now, you’ll have wished you started today. Want more? 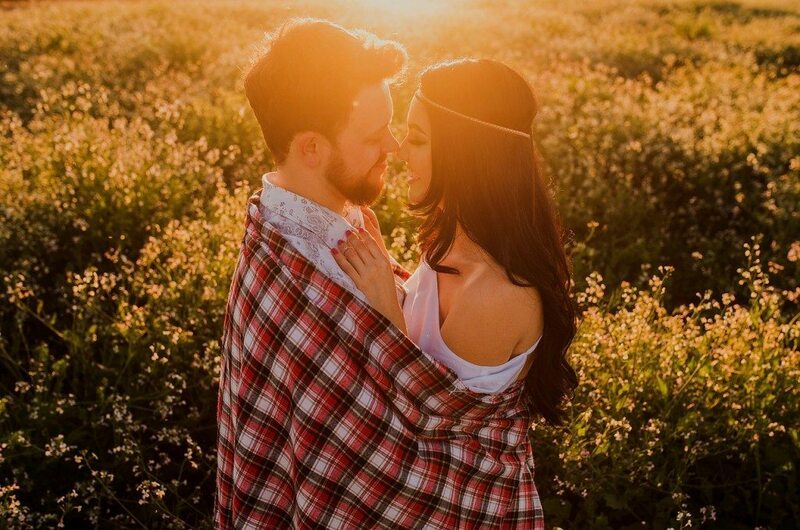 Download the Free Twin Flame Help Kit to get info on the awakening code 11:11 and the Ascension process going on across the planet right now, plus a powerful energy cleanse tool! This next year is set to bring deep transformations for Twin Flames, including awakening sleeper Twins. 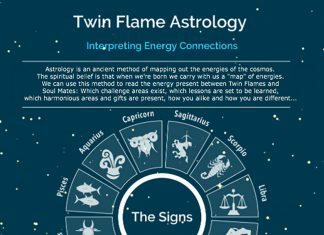 Sign up here to get the Full Twin Flame Energy Forecast for Free!